O God, your never-failing providence sets in order all things both in heaven and earth: Put away from us, we entreat you, all hurtful things, and give us those things which are profitable for us; through Jesus Christ our Lord, who lives and reigns with you and the Holy Spirit, one God, for ever and ever. Amen. 5:12 Observe the sabbath day and keep it holy, as the Lord your God commanded you. 13 Six days you shall labor and do all your work. 14 But the seventh day is a sabbath to the Lord your God; you shall not do any work—you, or your son or your daughter, or your male or female slave, or your ox or your donkey, or any of your livestock, or the resident alien in your towns, so that your male and female slave may rest as well as you. 15 Remember that you were a slave in the land of Egypt, and the Lord your God brought you out from there with a mighty hand and an outstretched arm; therefore the Lord your God commanded you to keep the sabbath day. 4:5 For we do not proclaim ourselves; we proclaim Jesus Christ as Lord and ourselves as your slaves for Jesus’ sake. 6 For it is the God who said, “Let light shine out of darkness,” who has shone in our hearts to give the light of the knowledge of the glory of God in the face of Jesus Christ. 7 But we have this treasure in clay jars, so that it may be made clear that this extraordinary power belongs to God and does not come from us. 8 We are afflicted in every way, but not crushed; perplexed, but not driven to despair; 9 persecuted, but not forsaken; struck down, but not destroyed; 10 always carrying in the body the death of Jesus, so that the life of Jesus may also be made visible in our bodies. 11 For while we live, we are always being given up to death for Jesus’ sake, so that the life of Jesus may be made visible in our mortal flesh. 12 So death is at work in us, but life in you. O God and Father of all, whom the whole heavens adore: Let the whole earth also worship you, all nations obey you, all tongues confess and bless you, and men and women everywhere love you and serve you in peace; through Jesus Christ our Lord, I pray, Amen. 2:23 ¶ One sabbath he was going through the grainfields; and as they made their way his disciples began to pluck heads of grain. 24 The Pharisees said to him, “Look, why are they doing what is not lawful on the sabbath?” 25 And he said to them, “Have you never read what David did when he and his companions were hungry and in need of food? 26 He entered the house of God, when Abiathar was high priest, and ate the bread of the Presence, which it is not lawful for any but the priests to eat, and he gave some to his companions.” 27 Then he said to them, “The sabbath was made for humankind, and not humankind for the sabbath; 28 so the Son of Man is lord even of the sabbath.” 3:1 Again he entered the synagogue, and a man was there who had a withered hand. 2 They watched him to see whether he would cure him on the sabbath, so that they might accuse him. 3 And he said to the man who had the withered hand, “Come forward.” 4 Then he said to them, “Is it lawful to do good or to do harm on the sabbath, to save life or to kill?” But they were silent. 5 He looked around at them with anger; he was grieved at their hardness of heart and said to the man, “Stretch out your hand.” He stretched it out, and his hand was restored. 6 The Pharisees went out and immediately conspired with the Herodians against him, how to destroy him. In the second half of our Gospel text, Jesus finds Himself in a similar dilemma. In the synagogue, Jesus sees a man with a withered hand who needs His help. Jesus knows what He needs to do and what needs to be done. However, the religious establishment does not allow Him to do it. They tell Him, “Don’t do it! Do not heal him, it is not allowed on the Sabbath.” As Jesus finds Himself in this dilemma, He teaches us about the Sabbath Day. Our text shows what the Jews thought about it, what Jesus thought, and what the Sabbath means for us today. As Jesus enters into the Synagogue, there is a man there with a withered hand. The word for “withered” means “dried up.” You can picture the man’s hand was twisted, wrinkled, locked, and lifeless. It does not work, and it is useless. His hand is simply along for the ride. As Jesus comes in, the Pharisees are intently watching Him, to see whether He would heal him on the Sabbath, so that they might accuse. They want to catch Him breaking the Sabbath. The Pharisees believed that healing would be wrong and that it would break the Law because healing is considered “work” to them. They think they got Jesus in their hands. The Pharisees were rigid and unbending in their understanding of the Sabbath. They believed that absolutely no work could be done on the Sabbath, and they added many of their own laws, rules, and interpretations to make sure that no work would be done. Consider some of their rules. They believed that medical attention could only be given on the Sabbath if a life was in danger. If a woman was in labor, it was iffy if they could help. If a wall fell on a person, they could move enough to see if the person was alive or dead, but could not move the body or help until the next day. You could not attend to a fracture. You could not pour cold water on a sprained hand or foot. You could bandage a would, but you could not use ointment. In short, you could only keep it from getting worse. You could not make them better, that would be work. This rigidness also extended beyond the medical sphere. You could not prepare meals on the Sabbath. Scribes could not have a pen nor tailors a needle! That could lead to work! In the Maccabean Wars, soldiers would not fight and defend themselves on the Sabbath, and they got slaughtered! With their rules and interpretations, safe to say, Jesus would break the Sabbath by healing him. To them, man was made for the Sabbath. Never one to back down from a fight, Jesus takes the bait, and summons the man. He literally says, “Rise in the midst of the group.” And there are two reasons for this request. He wants everyone to see and witness this event. He wants him up and in the middle. The second is this. As a teenager, my family would go to an event called Peds in the Weeds, which was a picnic for any child with cancer and their families. It was hosted by the Pediatric Oncologists and paid for by them. While it was a fun day, it would also be an emotionally draining one, as well. You saw suffering kids everywhere! You would see kids in wheel chairs from their treatments. You saw children bald from the effects of chemo. Others would be lethargic, weak, pasty white, and sick looking from the disease. As you would see these children and their families, you could not help but feel sympathy for them and what they were going through. I could relate with some of them. It was tough to see so many hurting and wounded people. Seeing them evoked a variety of emotions like love, pity, and sadness. It is the same here. 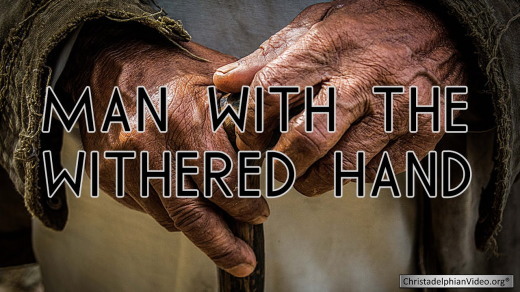 Hopefully by seeing the man with the withered man, the Pharisees could come to their senses. Maybe their sympathy and emotions would move them, but it doesn’t. So Jesus turns the table and puts them in a dilemma with His questions. Once you hear them spoken, I think you can figure out what He is doing. He first asks, “Is it lawful on the Sabbath to do good or to do harm”? This is like asking if you see a car accident just happen, do you stop or keep going? If someone has their arms full, do you open the door, or watch them struggle? If someone drops their groceries in the parking lot, do you help them pick it up, or do you keep walking? We all know what the answers are to these questions. We are to act. The second question he then asks is: “Is it lawful on the Sabbath…to save life or to kill?” The man’s life is not in danger, but can you ignore his need? It would be wrong to leave him in that state if you could help. With these questions, the Pharisees must admit that it is a good thing to act, and okay to act. Jesus shows that the Sabbath was made for man, and that it is not kept with rigid rules and procedures that ignore human needs. No wonder the Pharisees don’t answer His question. They know He is right and that it proves them to be wrong! But their silence irks Jesus, and draws out emotion. Jesus looks at them in anger and in grief. They don’t care for this man at all. They are so dead set on being right that they are dead wrong. They are rejecting Jesus and their unbelief is blinding them from the truth. So Jesus decides to heal the man. He says, “Stretch out your hand.” As the man does, He is healed. And again, Jesus turns the tables on the Pharisees. Jesus does no work in healing Him. He can’t be found guilty on their rules. He didn’t touch him, He only spoke. Poor Pharisees! But with this, the Pharisees now answer His question. Once this happens, they immediately leave. They leave to do harm and to kill on the Sabbath, and they do so with an unlikely ally, the Herodians. They want to kill Jesus. But this event reinforces the point made in the first half of our Gospel text. Jesus said, “The Sabbath was made for man, not man for the Sabbath. So the Son of Man is lord even of the Sabbath.” The Sabbath Day was God’s gift to man. It was to be a day of rest when God would come to His people in a special way with His Word and a day of worship. For in worship, God gives His gifts of life, salvation and forgiveness. 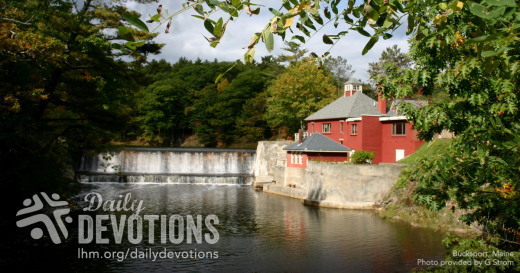 It is where He speaks to, restores, and fills His people through His Word. It is where we thank and praise Him. In applying the Sabbath Day to Christians, Luther helpfully says that we keep the Sabbath Day holy by “fearing and loving God so that we do not despise preaching and His Word, but hold it sacred, and gladly hear and learn it.” We keep the Sabbath by using God’s Word. God’s Word is a very great treasure. Luther points out that when we “seriously ponder the Word, hear it, and put it to use, such is its power that it never departs without fruit. It always awakens new understanding, pleasure, and devotion, and it constantly creates clean hearts and minds. For this Word is not idle or dead, but effective and living.” Again, what a great gift! Unfortunately, though, we don’t always treat God’s Word in this way or use this great blessing. We don’t always gladly hear and learn it. We might half pay attention to it and neglect to study it. We might find it boring and uninteresting. Fortunately, the Sabbath Day also points us to our Redeemer and salvation. For Jesus fulfilled the Sabbath for us with His rest in the tomb, and as He burst forth from the grave on Easter morning after dying for our sins. For Jesus is not just Lord of the Sabbath, but is also the Lord of Life, joy, peace, mercy, the universe, the Church, and me, through His death and resurrection. In Jesus’ name, Amen. The Bible texts of the Old Testament, Epistle and Gospel lessons are from the New Revised Standard Version Bible, copyright 1989 by the Division of Christian Education of the National Council of the Church of Christ in the USA, and used by permission. Sermon contributed by Pastor Nickolas Kooi on Jun 1, 2018. O God, you make us glad with the weekly remembrance of the glorious resurrection of your Son our Lord: Give us this day such blessing through our worship of you, that the week to come may be spent in your favor; through Jesus Christ our Lord. 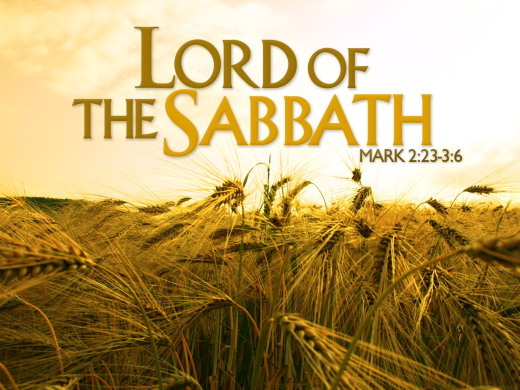 Mark 2:27 (NIV) Then he [Jesus] said to them, “The Sabbath was made for man, not man for the Sabbath. Señor, hazme conocer tus caminos; muéstrame tus sendas. Encamíname en tu verdad, ¡enséñame! Dios mío, te agradecemos este nuevo día. Gracias porque nos aumentas la bendición de un día más para vivir. Vengo a ti reconociendo que eres Dios y que te necesitamos. Señor, como intercesora tuya, te suplico que ayudes a cada uno de mis amigos, oyentes y a todos en general de modo que los llenes de sabiduría para que logren entender tus caminos y, por consiguiente, tu perfecta voluntad. También te suplico que los ayudes siempre que se equivoquen y les extiendas tu misericordia las veces que sea necesaria. Permite que la vida de cada persona que hoy lee este devocional se conmueva de tal manera que sea capaz de discernir y escuchar mejor tu voz y hacer tu voluntad. Dios mío, guarda a cada familia representada a través de este libro, a los oyentes y a todo el que lo pueda tener en sus manos. No permitas que nos desviemos ni a la derecha ni a la izquierda. Ayúdanos a permanecer en ti. But I will stay on at Ephesus until Pentecost, because a great door for effective work has opened to me, and there are many who oppose me. I like dominoes. Actually, I like watching one domino knock down the next domino which topples the next domino, well, you can see where that is going to go. Domino 1: In 2009 James Jones was the owner of the Allegro Music Center. In that year he rented a trumpet to a woman so her son, Jacques Ruffin, could learn to play. Domino 2: The boy did well; the mother did not. She got caught up in the recession; she lost her job and became ill. The rented trumpet quickly became a luxury the financially strapped family could not afford. The mother indicated she needed to return the instrument to Mr. Jones. I have decided to forgive the rent on Jacques' trumpet. You do not have to pay me any more for the trumpet. It is yours to play. However, if Jacques drops out of band and stops playing the trumpet, will you return it to me so I can give it to some other deserving student? I have been through bad times like you. But remember: Tough times never last, Tough people do. Maybe, you can help some other student someday when times are better. Jacques, who knew nothing of this interaction, recently found the letter. He was surprised at their family's financial condition, and overjoyed to find that Mr. Jones had been so kind. Domino 4: He still plays the trumpet and is dedicating himself to raising money to rent and buy instruments for students whose families can't afford them. Now this is the point in the devotion where I am supposed to tell you that you should be kind like the music store owner, Mr. Jones. I am supposed to encourage you to knock down the first domino and watch and see what the Lord does. To be sure, a good devotion, maybe an excellent devotion, could be made by proceeding that way. But that's not the way we are going to go. We're not going to go that way because when I look at that story I don't see you playing the role of Mr. Jones, the music store owner. That part, my friends, belongs to our Heavenly Father. He is the owner and giver of every good gift. If we have something worthwhile in this life, it is not because we deserve it, or have earned it; it is because He has given it to us. So that leaves us with two more parts: Jacques and that of his mother. Well, I can't let you be Jacques, can I? Jacques didn't know what was going on. He wasn't aware of what Mr. Jones had done. But Jacques' mother, she knew... just as you know. You know how the Lord, in His grace, gave His Son so that you might be forgiven and saved. It was a wonderful gift, one which you need to share with your children and all those around. And then, stand back and watch the dominoes fall. THE PRAYER: Dear Lord, for every undeserved gift I thank You. In Jesus' Name, I give thanks. Amen. Mon père est mort à 58 ans. Depuis lors, je m’arrête chaque année à la date de sa mort pour évoquer son souvenir et réfléchir à l’influence qu’il a eue dans ma vie. En constatant que j’avais vécu plus longtemps sans mon père qu’avec lui, je me suis mis à méditer sur la brièveté de la vie. À bien y penser, il se peut que le souvenir d’un événement et les sentiments qu’il suscite en nous nous donnent tous les deux du fil à retordre. 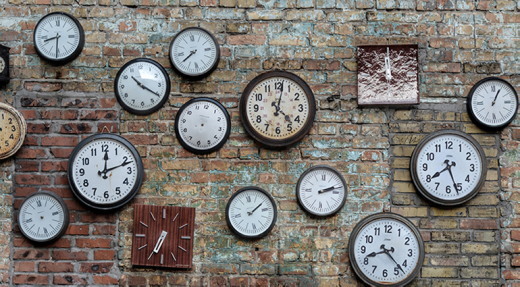 Bien que nous mesurions le temps à l’aide d’horloges et de calendriers, nous nous souvenons d’instants précis en raison des événements qui les ont marqués. Il y a des moments dans la vie qui éveillent en nous de profondes émotions : la joie, le deuil, une bénédiction, une douleur, une réussite ou un échec. La Bible nous encourage à faire ceci : « En tout temps, peuples, confiez‑vous en lui, répandez vos cœurs en sa présence ! Dieu est notre refuge » (PS 62.9). Cet énoncé empreint d’assurance n’a pas été émis en période facile, car David l’a écrit alors qu’il était entouré d’ennemis (V. 4,5). Il s’est malgré tout confié en Dieu (V. 2,6), ce qui nous rappelle que l’amour infaillible de Dieu (V. 13) transcende toutes nos épreuves. En toute situation, nous avons l’assurance que Dieu se tient à nos côtés et qu’il est plus qu’en mesure de nous faire surmonter les moments éprouvants de la vie. Lorsque des temps difficiles menacent de nous jeter au tapis, Dieu vole à notre secours dans le bon temps. Dieu désire être à nos côtés en toute période de la vie. Mon père est mort à 58 ans. Depuis lors, je m’arrête chaque année à la date de sa mort pour évoquer son souvenir et réfléchir à l’influence qu’il a eue dans ma vie.